Jerry weighs in on David Ortiz, Richard Sherman and even the great Babe Ruth. Just to make it clear, S.O.B., in this case stands for Sherman, Ortiz, and (The) Babe. What other than being, or in Sherman’s case trying to be, bigger than life performers, do they have in common? If I wanted to go that route, they do share some significant personal factors. For one thing they are all big men. George Herman Ruth was 6’2″, Richard Sherman 6’3″, and David Ortiz 6’4″. They all had difficult beginnings, Sherman in the Compton-Watts area of LA, Ortiz in the DR, and Ruth was abandoned by his father and grew up in St. Mary’s, an orphanage/reform school/ private school in Baltimore. When I first saw a replay of his post game interview with Erin Andrews, I had two very rapid reactions to it. My first was a response to his posture; I’ve seen it many times before, and the second was his claim to be the “best” at being a shutdown corner. When you have spent as many years as I have working with teenage boys who come from difficult beginnings, you see that basic posturing on a regular basis. It consists of that slightly turned in stance, with the shoulders often raised, and both arms actively engaged. I know some commentators were comparing it to a WWE appearance, others to a hip-hop inspired moment. I see it as something that young men do to express their toughness, and assumedly keep trouble away. Maybe I’m over thinking it, but I definitely saw a young man who had focused his energy for the duration of the game and was at that point letting it all pour out. That’s understandable. What I didn’t like about it was that the net result was an almost total focusing on him instead of what should have been a great team moment. I was glad to see that whatever Pete Carroll said to him had a positive effect, as he backed off from his “me first” attitude somewhat in subsequent interviews. As far as being the best cover corner in the league right now.that seems to be supported by a great many others, so I hope he cashes in on it soon. (I believe he’s only making $600,000 this year.) It seems to me that being the best cover corner is a bit like being the fastest gunfighter in the Old West; you’re only on top for awhile. Try googling “best cover corner”, and I bet you come up with a list that includes Revis (remember him?) Asomugha, Bailey, Samuels. Cromartie, and Woodson. In many cases it seems that they get a contract that is too big for the team to maintain and they move on. As long as they make sure they get as much as they can up front I guess it doesn’t matter, but it often means they end up some place where they are never heard from again. 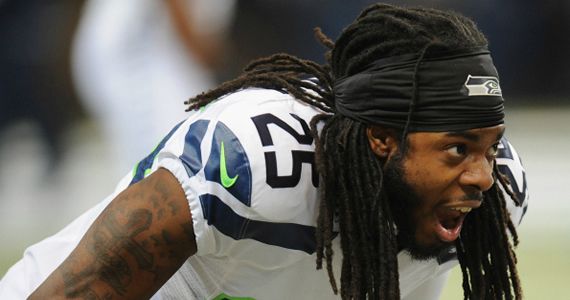 It’ll be interesting to follow Sherman’s career from here. It seems that in New England this time of the year, there are two things that you can count on. 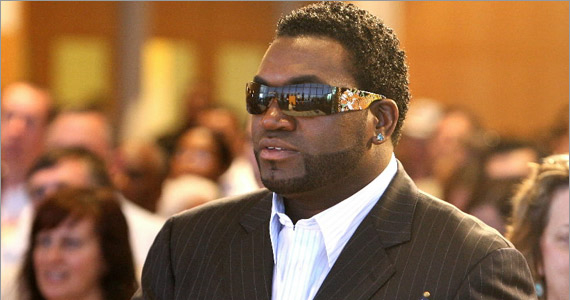 One thing is the very cold weather, the other is that David Ortiz will complain about his contract. True New Englanders have gotten used to both and don’t overreact to either. I’m really OK with Papi pulling the “Respect” card, as I figure after 17 years in the majors that includes three World Series wins, you may need a little extra motivation to get yourself ready for Spring training. The “Family” card I’m not so crazy about. According to celebritynetworth.com, he made $5 million in endorsements alone last year. Throw in the $15 million his contract, plus bonuses, made for him last year, plus the same for 2014, and you got to figure you should be able to support a pretty large family for some time to come on that. That not even taking into consideration the many millions he has made since signing with the Sox for the 2003 season. Fortunately he has backed off his threat about going somewhere else and claims now he was only looking for an extension of one year. I think we can live with that. As I said earlier, I am currently reading the Bill Bryson book about America in the Summer of 1927. Obviously you could not write about that time in our country’s history without devoting a great deal of space to one George Herman Ruth. I thought I knew a thing or two about him but have learned a great deal more. Some of the more interesting details I have gotten so far include the fact that he got the nickname “Babe” because after 12 years at St Mary’s School he was very child like in a great many ways when he went out on his own to start his baseball career, at the age of 19. He was so strong that he used a 54 once bat, which is about 20 once greater than most professional use today, and was able to generate 8000 pounds of force with it. A 90 mph fastball left his bat at 110 mph. 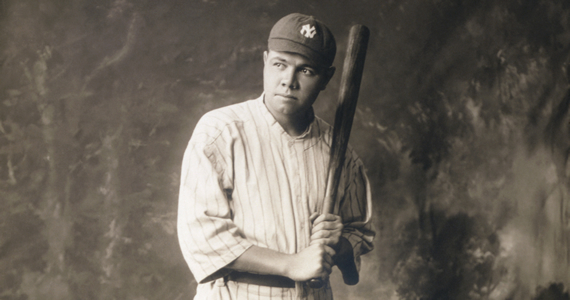 In 1920, he hit 54 homeruns, which was not just more than any other player, it was more than any team’s total. The Red Sox selling him to the Yankees probably saved major league baseball. Yes, the Boston owners sold him for $100,ooo to back a musical, but they also got $350, 000 in loans that helped keep the team afloat. MLB was struggling financially at that point, and was badly hurt by Prohibition as selling beer was one of their few ways of making money. If Ruth hadn’t gone to New York at that point to become the sensation we remember, then MLB would have been in deep trouble. Also, did you know that the ’29 Yankees were the first team to put numbers on their uniforms? They just went by batting order which is why Ruth was 3 and Gehrig 4. Well, so much for the teachable moment. Your assignment for next time is go to the bookstore and buy a copy of ONE SUMMER, AMERICA, 1927, by Bill Bryson. Start with chapter 8, entitled -June- “THE BABE”, and don’t forget your highlighter. Yes, there will be a quiz…. The personification of "old school", Jerry Ballgame was born in the shadow of Dr. Naismith's peach basket, and baptized in that "Dirty Water." Designated by his "Uncle" Ted, to keep an eye on things, he's here to tell everyone what his view is like from the Hub of the Universe.